Be safe from instability caused by fractional reserve banking and central banks. Limited inflation of the Bitcoin system’s money supply is distributed evenly by CPU power across the network, not monopolized by banks. Users hold the crypto keys to their own money and transaction is done directly with each other, with the help of the network to check for double-spending. Need of a middleman for digital money transaction is essentially negated. In Ubuntu, you need to download and extract the package first and then run 'bitcoin' file from bin directory. 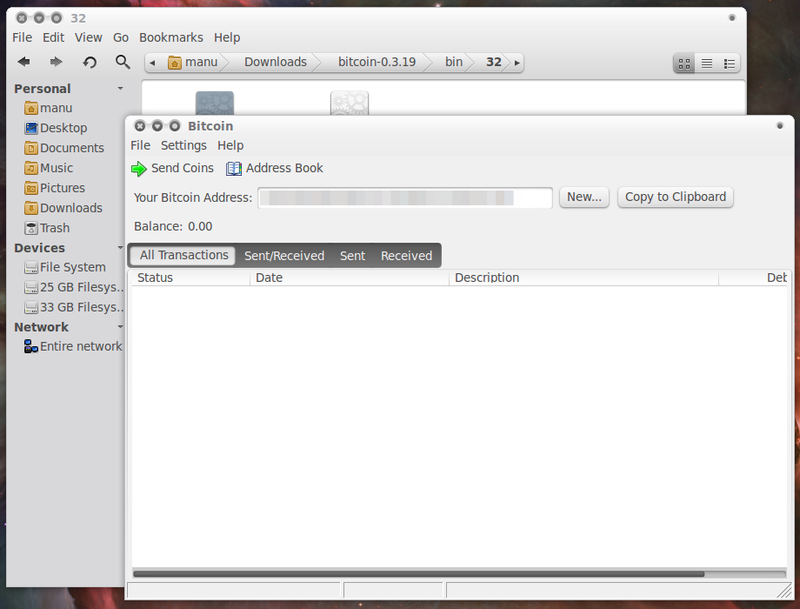 Screenshot showing Bitcoin client in Ubuntu above. Title credits for the article actually goes to this reviewer at sourceforge(where bitcoin project is hosted) who writes, "Bitcoin is the gold standard of digital currency. The availability of bitcoins can not be manipulated by governments or financial institutions and bitcoin transactions occur directly between two parties without a middleman."